Nowadays, one of most used methods by thieves in housing is a bumping key. In today’s article we will know everything we should know about anti-bumping key locks that are nothing more than safety locks that prevent the application of this method of door opening. Technically it is more correct to refer to as antibumping key cylinders, but since the meaning of lock is more widespread, this article will be the one we use. ¿What is a bumping key? 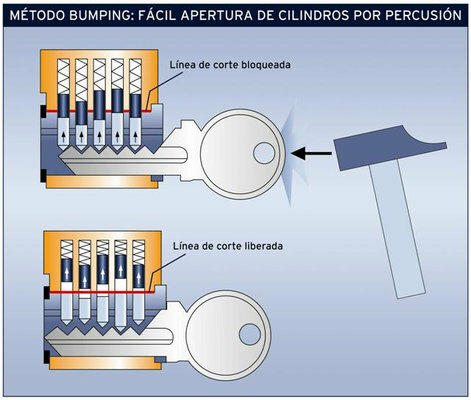 Although we will not go into detail, the technique of opening doors using the bumping key method consists of using a modified key, which is struck with a hammer or other object of certain force, to move the pins of the inside of the cylinder, So that it can be turned and thus open the door. This key is generally known as bumping key, blow or percussion, and the problem is that they are now much easier to get than a few years ago, so in the last decade the use of this technique for criminal purposes has been spread worryingly. Internet is a double-edged sword and although it is very useful in many ways, in other cases it is useful for thieves and for less than € 20 you can buy sets of new keys of several brands and models prepared for bumping key illegal lock opening method. The opening time using this technique is less than half a minute. Bumping keys are easy and cheap to get, and even to manufacture, therefore, everyone can access to them. According to studies more than 90% of the locks are susceptible to be opened by the bumping key method. Doors opened by this method are not affected. As there are no signs of being forced on occasion we may have problems with insurance companies or when filing a complaint. From Juanjo Locksmiths Alicante we have had to appear in trials as experts in security, to testify that through this technique a cylinder can be opened without causing damage or leave traces, so that the customer can collect insurance. In order to combat bumping and other methods of access to housing for criminal purposes, the so-called high security locks appear in the market. The cylinder body is made from high strength alloys such as chromium-nickel steel. They have systems that prevent the removal of the lock. They have steel pins that prevent drilling. The keys are also high security. They are patented keys and designed with an active element in the inside that makes them unopenable by people unrelated to the owner of the key. The shape of the key and the arrangement of its carving make the bumping method ineffective. The cylinder has an antipicking system. The lock must be certified for its physical strength and have some of the updated certificates: European certificate 1303 class 6 digit 2, VdS BZ+ certificate (the most demanding in terms of physical resistance) and certificate of safety doors UNE 85160: 2013 . Finally we want to highlight an important factor that is not usually taken into account. It is necessary that the locksmith that installs the antibumping lock or a high security lock complies with a strict protocol on the manufacturing process of the key. In this way we will be ensuring the prevention of external theft, and why not say it, also internal, as can happen in the case of some unfair employee. There are many brands that manufacture safety locks and, therefore, many models. This is sometimes a problem for the end user as it can be overwhelmed by so much information. 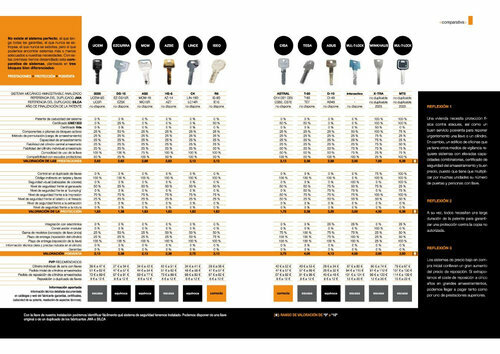 Of all the models analyzed in the table above, in Juanjo Locksmiths Alicante we like to recommend the safety cylinder KESO 4000S Omega PREMIUM, for its excellent security features. Certified by VdS BZ+ and SKG *** meeting the highest international quality standards. 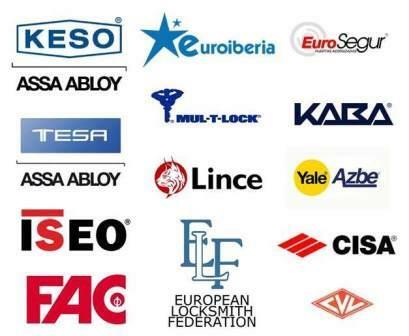 VdS is the most recognized and demanding agency in certifications of security elements in locksmithing in Germany, ans Europe. KESO 4000s Omega PREMIUM has the highest safety rating, Class BZ (+). Patented key: The KESO 4000S Omega wrench has a patent in effect that protects against unauthorized copying. It has an active pin in the key that makes it physically impossible to copy except with the authorization of the owner. Both the body and the connecting bar are made of high-performance chrome-nickel steel. The pins are made of hardened 62 ° HRC steel to increase their resistance to aggressive drill attacks or cylinder snap. Protection against bumping, picking and drilling. To finish, just to say that we hope to have solved the doubts that arise about the antibumping locks, and to remind the reader that in Juanjo cerrajeros Alicante we are specialists in security with more than twenty years of experience. Contact us so that we can resolve your doubts and advise you on any matter related to safety in your home.